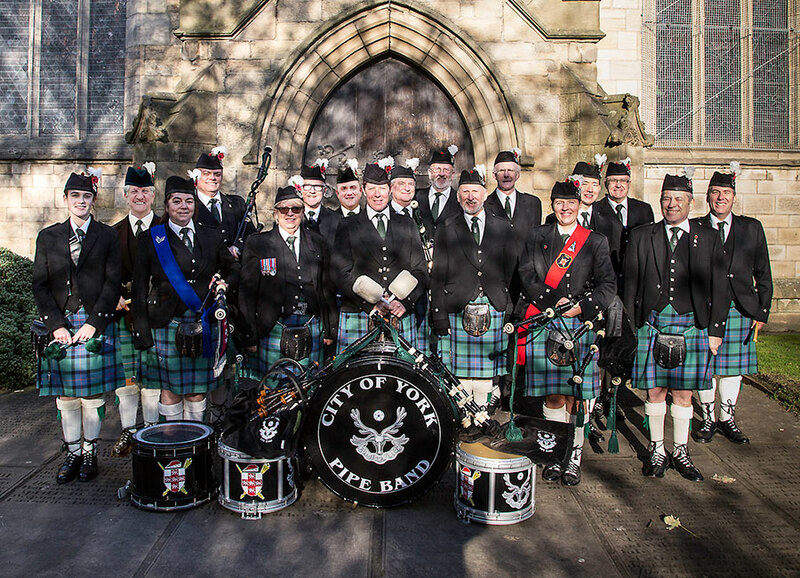 The skirl of the pipes has been heard in York for nearly 40 years at the hands of our band since it's inauguration in 1979. The band was formed as a Piping Society, in Marygate, York, & after a while moved to Fulford, eventually occupying the Memorial Hall, Huntington where it has been for almost 40 years, meeting every Wednesday between 7pm & 10pm. Tuition is free and all are welcome, no experience necessary.